Call us on (01206) 575565 (Parish office) or (01206) 577392 (Rev’d Matt Simpkins) or see the Who’s who page for specific contacts together with their email addresses and all email addresses are @stleonardslexden.org.uk. The contact form below can also be used but please be aware that this is not sent using a secure method and is therefore not encrypted, so please do not enter any confidential information. The information you provide is only used for the purpose of replying to your email and dealing with your enquiry. For further details, please refer to our Privacy Notice. Find us on the map. 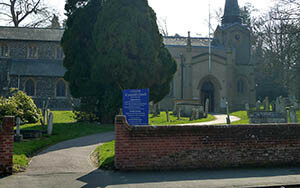 Our postal address is St Leonard’s Church, Lexden Road, Colchester, CO3 4BL. This is a map of where the church is located. 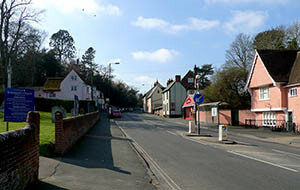 There is no specific car park at the church but parking is allowed in certain parts of Church Lane and Lexden Road. Please be aware that these roads can be busy at times and spaces might be limited. 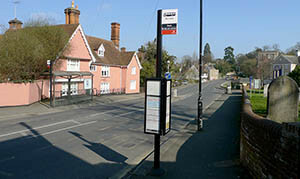 There is a bus stop in Lexden Road outside the church and on the opposite side. All buses going along Lexden Road into and from town will stop there. 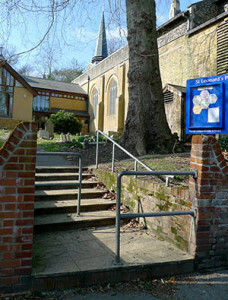 There are a small number of steps with a handrail at the Church Lane entrance. 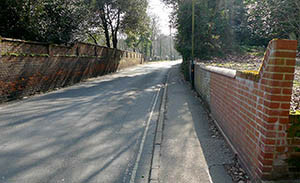 The front of the church in Lexden Road has a wide pathway with no steps. If you need any assistance on arrival please ask. We are happy to bring the bread and wine directly to you during Communion.